The NeweggBusiness Subscription program automatically reorders and delivers products on a regular monthly schedule. By purchasing through the Subscription program, you can receive reduced pricing and free shipping on qualifying items. To order an item through the Subscription program, you must have an account with NeweggBusiness. The NeweggBusiness Subscription program features three different types of subscription plans: Regular, Month-to-Month, and Commitment. Your subscription items will be delivered on a regular monthly schedule, with payment being charged prior to shipment or digital delivery. A subscription begins as soon as you pay for the first item and there are no additional fees or charges aside from the price of the item. A regular subscription can be canceled only after the first two orders have been delivered while a month-to-month subscription can only be canceled at any time with no penalty. 12- and 24-month commitment subscriptions can also be canceled at any time, but you will be charged 50% of the total commitment amount subtracted by the total amount you have paid towards the subscription to date if you attempt to cancel the commitment early. 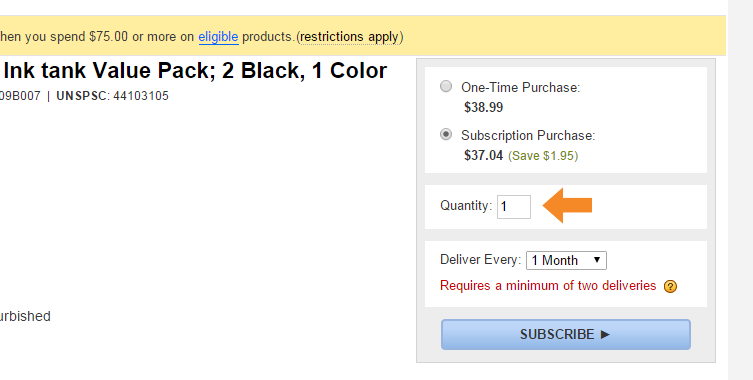 Only select items can be ordered through the Subscription program and will be indicated as such on the product page. Look for the Subscription Purchase option on the right side of the screen. 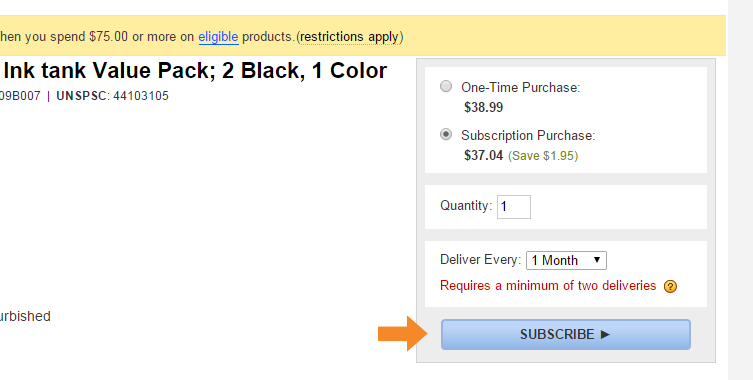 Click on the Subscription Purchase radial button. 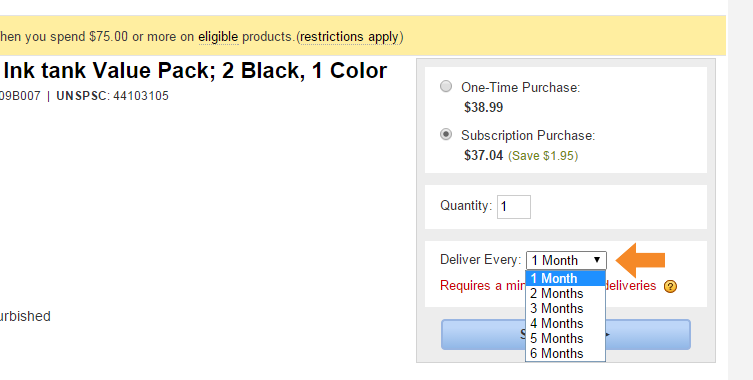 Choose the quantity you wish to reorder every month. Click Subscribe and complete the checkout process. 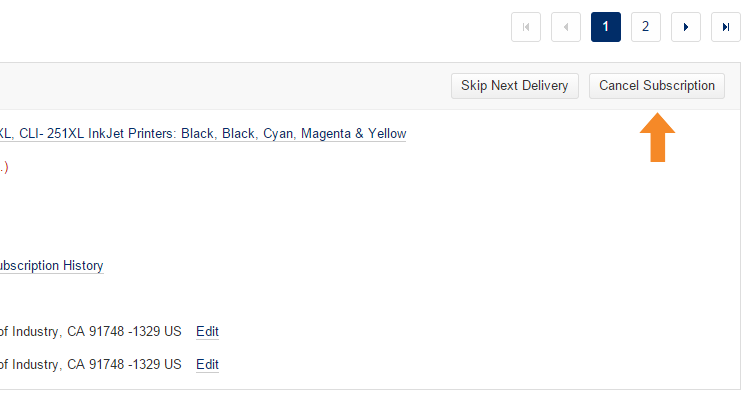 You can modify order quantity and the delivery interval at checkout should you need. 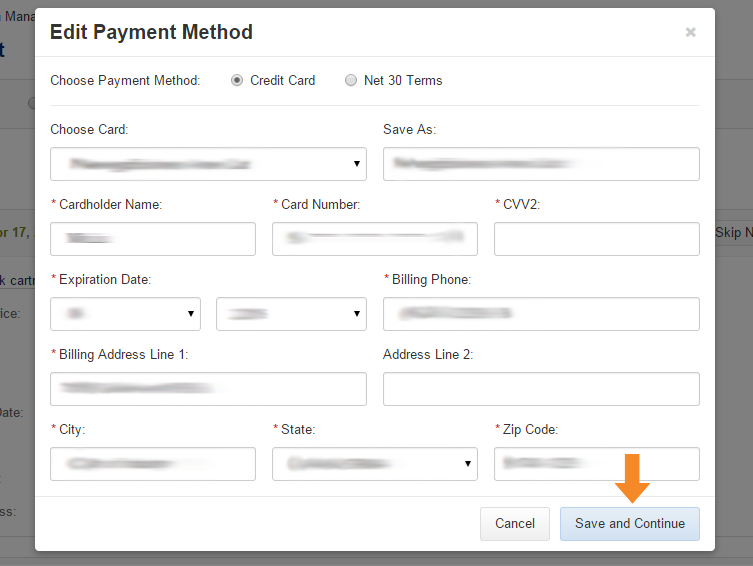 You can modify your payment method for active subscriptions from the Account Management page. Log on to your NeweggBusiness account and navigate to your My Account page. On your My Account page, click on Subscription Management. Click on Edit to the right of a field to update it. Enter in the updated information and press the Save and Continue button when prompted. You can cancel an active subscription through your My Account page but there may be an early termination fee if you want to cancel a subscription during a 12 to 24 month commitment. Press the Yes button to confirm subscription cancelation. If the subscription contains multiple items, you can choose Cancel Subscription to stop automatic reordering of all items in the subscription or Partial Cancellation to stop reordering for select items.